As a designer, sometimes it’s difficult to get started on a new project. Maybe You will need to scour the web for inspiration, or doodle on a notepad to hopefully get some ideas. That’s when you need to look through collections of freebies. Fortunately, enhancing your web design doesn’t have to cost a small fortune or take a lot of time. Here are 10 Awesome Freebies for Designers that can help enhance your web presence today. 200 vector icons are fantastic for use on all manner of sites. With subjects ranging from science to entertaining, the vast scope of the icons means that you’re bound to find something useful. This vector icon pack includes 200 vector shapes, meaning you can scale them up as much as you like and they’ll stay sharp. Each file includes AI, EPS, PSD and JPG files. They’re good for use on both personal and professional projects. CORP is a clean and versatile theme that’s absolutely packed with features. The simple grid layout provides an ideal frame to hang your content on, it’s ideal for corporations that need an online presence in a hurry, or as a starting point for any business whose brand image projects organization. Flat design is all the rage, and trend-conscious clients are beginning to ask for redesigns to meet the current fad for all things flat. Here is a set of free almost-flat social icons which is designed to embrace flat design without surrendering to it completely, the set is a great way to iron out your current design. 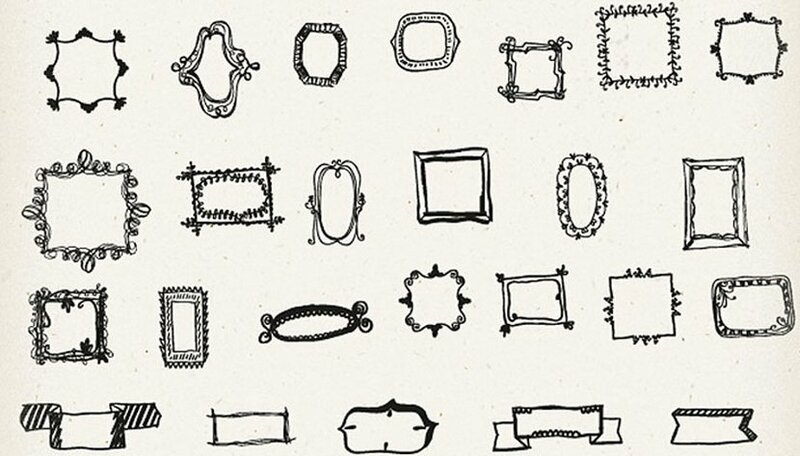 Here is a set of 46 hand-drawn frame and ribbon vectors. Scribbled onto a page and then digitized, the liberated borders look like they were drawn in the heyday of UPA cartoons; I half expect to see Mr. Magoo, or Gerald McBoing Boing, come wandering across the page. Add a light watercolor wash and combine them with a heavily scrolling script typeface and they’d make a lovely, and personal feeling, addition to any wedding stationery. This set of 25 Colorful Grunge Textures is perfect for use as overlay textures on your photos. The pack contains 25 .jpg textures at 5000 by 5000px saved at 300ppi. The textures are compatible with all photo editors that support layers (Photoshop, Photoshop Elements, GIMP, Pixelmator etc. ), both PC and Mac. 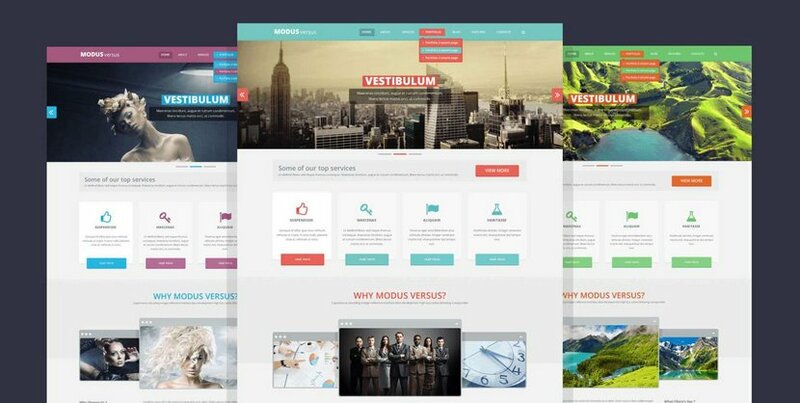 Modus Versus is a free multi-purpose PSD template, designed on the 1170 grid system. Excellent for use with responsive frameworks like the popular Twitter Bootstrap, it could form the basis of a good corporate site. It would be an ideal choice for a marketing or professional services company, or you could pick it apart and use elements of it in other projects. Flat design is more of a rejection of 3D artifice than it is a style, which fits so perfectly into the contemporary landscape that it’s already hard to envisage a time when it wasn’t de rigueur. 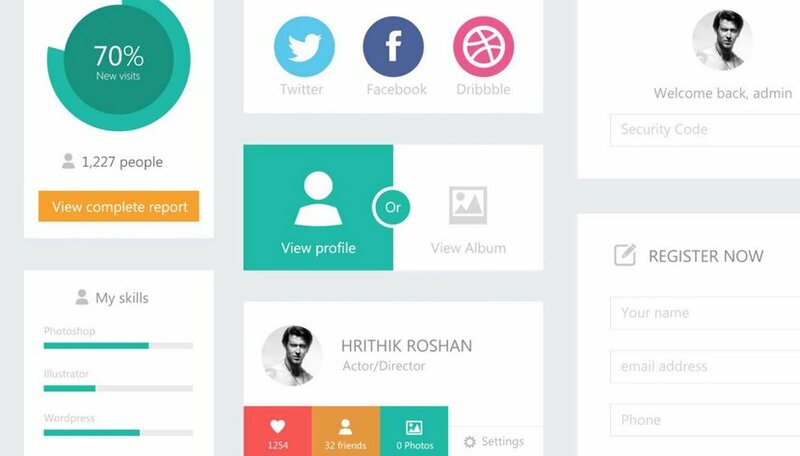 To help you take the leap into flat design WebDesignerDepot put together this great freebie: A free flat UI kit. This is a set of 40 fantastic icons called Bluetron. They are available as PNG files (256 x 256px). You can use them for free for both personal and commercial purposes. The icons were designed by Waqas Ahmed who’s the founder and blogger of The Art Times and Lead Designer at Iconic Graphics. This is a social icon set which contains all the latest icons needed for you social needs! It includes a total of 75 icons, provided in three sizes: 16×16, 32×32 and 64×64. The file is free for personal and commercial use.